Most familiar with Shiba Inus know that Shibas are typically described as “cat-like” dogs that are fastidiously clean and have no doggy odor issues. I’ve had multiple Shiba Inus for over a decade and can basically attest that these descriptions for the most part is true. Most of my Shiba Inus were pretty cat-like either due to looks or catty-like behavior. 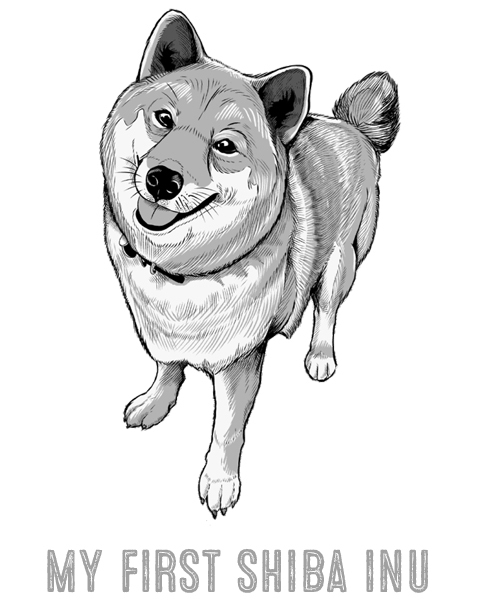 And in general, most of my Shibas were pretty clean - especially the ones I got to raise from puppy hood. A few of the older Shiba Inu rescues I adopted had some potty issues - mostly involving the refusal to pee or poop in the correctly designated areas. But in terms of the “no doggy odor” claim, I can say that I’ve had some smelly Shiba Inus. And not smelly due to being dirty, but smelly simply because they possessed that E’au de Shiba Inu essence. Kind of gamey, kind of wild, and oh so doggy smelling. Which preludes nicely into to the topic of this article. Why do many (I mean a L.O.T.) 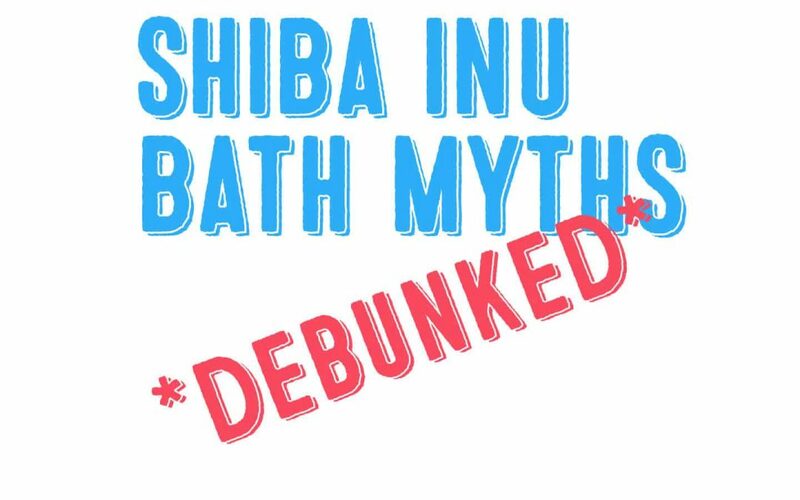 of Shiba Inu owners believe bathing their Shiba Inu is so bad?!!? Even so much as to exclaim they “never” bathe their Shibas! Though the most common responses are “rarely”, or “twice a year”, or “once a year" - unless he rolls in poop”. These anti-bath dog owners believe bathing too often will strip their dog’s skin of important natural oils - a claim which was true many decades ago - but not today (with exceptions). So just where does this anti-bath sentiment come from? A long time ago dog shampoos were basically made out of cheap and frighteningly caustic ingredients such as lye. Needless to say, lye wasn’t very good for skin of dogs or anything living for that matter. But, it’s what was available for dogs at that time and so dog owners used it. Because of the caustic nature of lye-based dog shampoos, it was always recommended to use sparingly because of the serious damage it can do to a dog’s coat and skin. Fast forward a century, and now shampoo products for dogs are gentle, nourishing, and filled with ingredients such as herbs, essential oils, and fruit extracts. All great for your dog’s skin and coat - but not so much for our pocketbook. So in a nutshell, the “don’t bathe your dog often” belief is nothing more than a old wives’ tale that many stubbornly refuse to discard. Shiba Inus are known to suffer from various types of skin allergies - so this statement should hopefully resound to those who have Shiba Inus with skin issues AND who refuse to bathe them often enough. Here’s another short article from another veterinarian, Dr Kathryn Primm, DVM, stating the benefits and safety of regular baths. 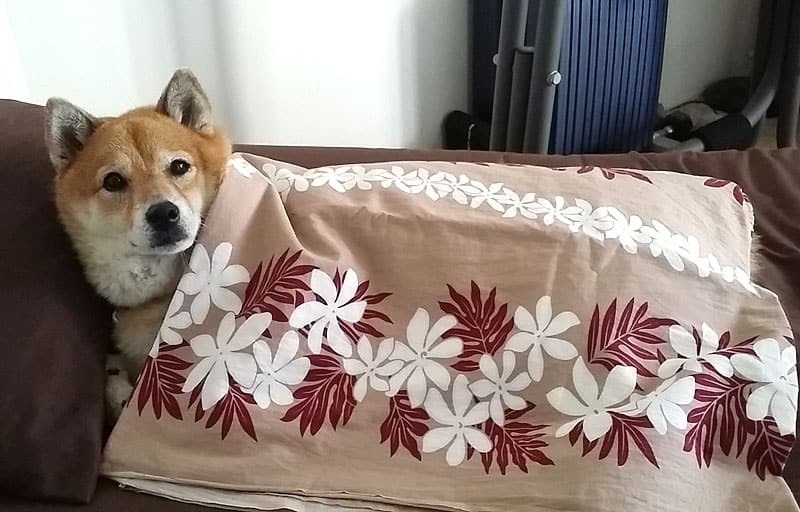 If you have an indoor Shiba Inu - likely spoiled - you of course would prefer a clean house companion to snuggle with and share your favorite linens and furniture with. So accordingly, indoor Shiba Inus should be bathed more frequently than outdoor Shiba Inus. Going one step further, indoor dogs that have access to carpeted areas should probably be bathed more often simply for the fact that carpets retain odors and dirt more than solid floors. Shiba Inus suffering from skin allergies benefit from more frequent bathing. Check with your veterinarian for precise guidelines. Humans with dog allergies / sensitivities also benefit from a dog that is bathed more often than not. So NO, bathing a Shiba Inu is not a “bad” thing - and should be done on a regular schedule depending on both your Shiba as well as your families needs. Bathing your dog will not strip out skin oils if you use the right products and follow a schedule right for your dog. What’s the worse that can happen? Dry skin? If for some reason, your Shiba Inu develops dry skin from what you believe is due to over bathing - change your shampoo products and treat the dry skin with proper skin moisturizing products. Sometimes, it’s simply easier to look carefully at the risks versus benefits when determining any course of action. Quality dog shampoos made today actually nurture and improve your dog’s skin and coat when used properly in the right amounts. These products will NOT strip your Shiba Inu coats oil off if not used excessively. Now, defining exactly what excessive is involves various factors such as necessity for a bath, time frame, and amount of product. For example, I might say that bathing a Shiba Inu once a week could be considered excessive. 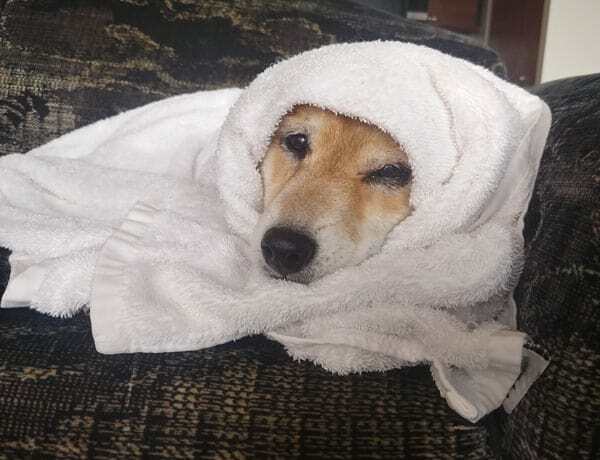 However, if either the Shiba Inu or the Shiba Inu’s owner suffers from allergies and frequent bathing is necessary then a once a week bath may not be considered excessive. Especially if done with “very little” shampoo and quick in nature. Bathing your dog excessively (every day) with the wrong shampoo and conditioner can strip your dog’s skin of their natural oils. These natural oils help keep your dog’s coat healthy and free from itching, damage, and infections. If you notice your dog’s skin being dry, it’s best to change the shampoo your are using and include conditioning in your dog’s bathing routine if you don’t already do so. Also, it’s best to give your dog’s skin a break from bathing and wait till it improves until trying a new gentler shampoo. Ideally it’d be best to consult with your veterinarian, especially if you notice other skin issues such as redness and rash. As you can see from the last two paragraph lengths , the benefits of bathing your dog FAR outweighs the dangers of “possibly” over bathing your dog. A simple fact is that cleanliness has always been and will always be a good thing. Dr. Marty Becker, DVM, aka “America’s Veterinarian” asserts that even veterinarian dermatologists are changing their recommendations on weekly bathing to include the fact that there’s nothing wrong with weekly bathing. So you just read it from the experts. There shouldn’t be any institutions more qualified on the topic of dog skin health than veterinarians and veterinary dermatologists. 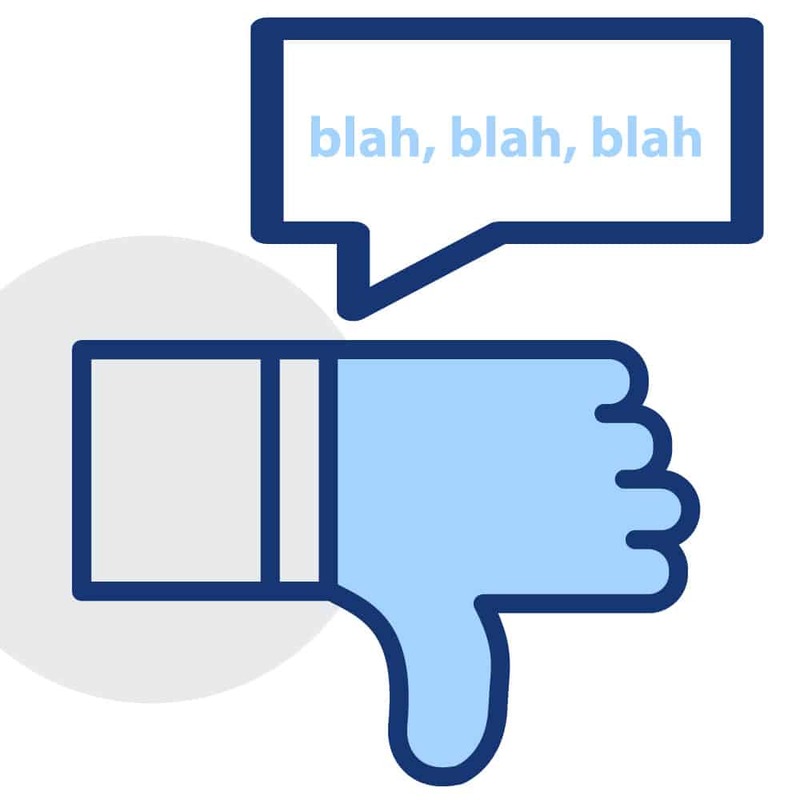 Take social media comments with a grain of salt. Old wives' tales and myths spread like wildfire on social media platforms. It’s human nature for us to believe advice we receive from others that we share a same interest with. However this fault can quickly lead to widespread misinformation if not properly fact checked. So while there’s nothing inherently wrong with soliciting advice on the WWW - just be sure to verify the advice from reputable sources. The health and well-being of our dog and human family members rely on the informed choices we make. With the right mindset, products and technique - figuring out how and when to bathe your Shiba will become easy. It’s not rocket science. Here are some guidelines to help you along. All dogs - even within the same breed lines - are different. Shiba Inus are double coated dogs that have a handy top coat with moisture and dirt wicking capabilities. Which means Shibas don’t need baths as often as long-haired dogs like Maltese that have coats that can easily trap debris. It’s best to assess your own dog’s needs as well as you and your families need in determining an workable bathing schedule. Just as with most things in life - moderation is the best path. Determining what a sensible bathing schedule for your Shiba Inu depends on a few key factors. 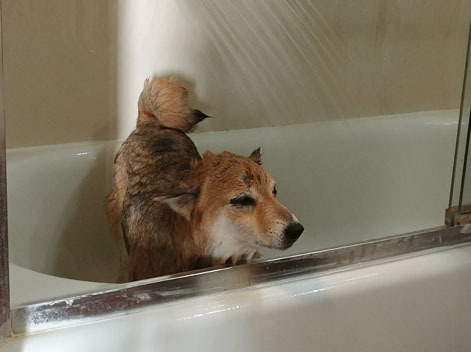 With that said a general bathing schedule for an indoor Shiba Inu would be optimally around once a month. For outdoor Shiba Inus, every two to three months is fine. 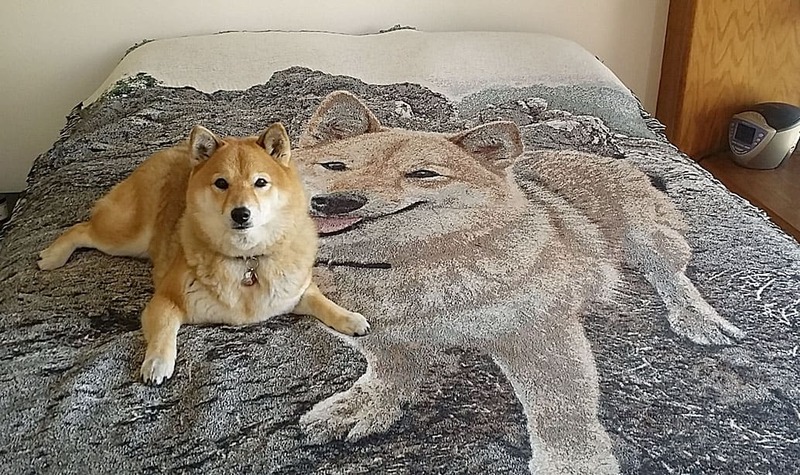 If your Shiba Inu needs more frequent baths, then every ten days, or 3x a month is also reasonable provided you use a certified organic ph balanced dog shampoo with additional skin conditioner. Remember, these are all just general guidelines. Over time, you should be able to discover a bathing routine that works best for your Shiba. 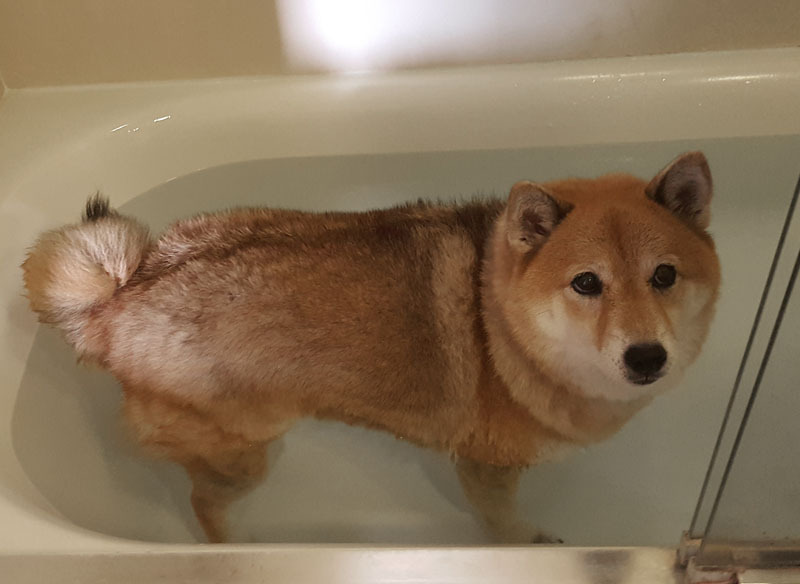 If your Shiba unexpectedly rolls in something unpleasant or gets muddy - don’t hesitate to bathe your dog just because you think it’s too soon, etc. If you walk your Shiba Inu regularly, your Shiba Inu paws are exposed to dirt, germs, dog / human urination / excrement, human phlegm, viruses, food, allergens… the list goes on. While you don’t have to give your Shiba Inu a bath after each walk, it’s best to give your dog’s paws a good wipe down before coming back indoors. Hopefully, the information presented in the article will help you make informed choices regarding your Shiba Inus grooming needs. One of the main points of this article is to understand the importance of doing your own research - and not just following the advice from others without good reason. Relax, it’s just a bath.